Possibly KMBC's most popular musician, and certainly the station's most prolific, Herb Kratoska made his musical mark from Kansas City to Hollywood. Affectionately known as Herby, Kratoska was a guitar and banjo virtuoso. As a member of the original Texas Rangers, he was also know as "Arizona," and appeared in films with Gene Autry, Johnny Mack Brown, and others. On KMBC he played with the Tune Chasers, Rhythm Riders, and other groups, and was heard on several programs in addition to being a Follies regular. Herby was also a thrilling solo performer and a fan favorite for more than 20 years. 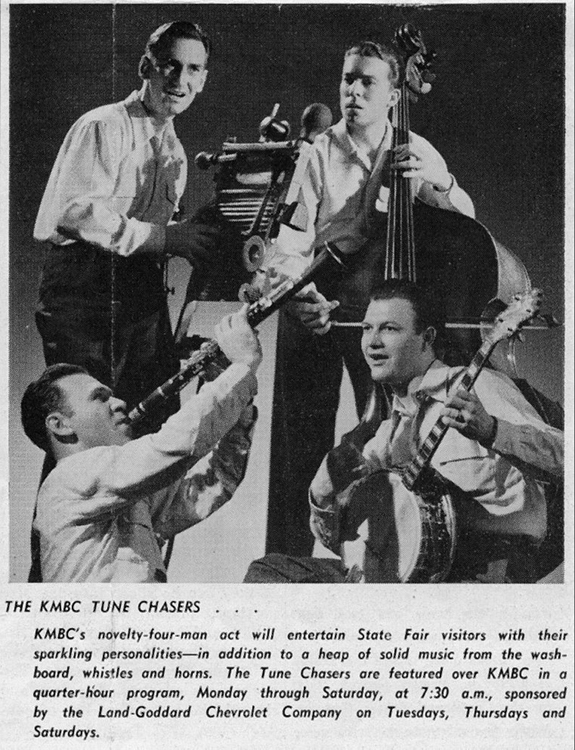 You can also follow his long career with KMBC from the 1930s, when Herby played guitar with the Texas Rangers on "Red Horse Ranch," to his banjo playing with the Tune Chasers in May of 1951. Though a serious musician, Herb Kratoska was also a crowd-pleasing cutup who easily blended artistry with entertainment. 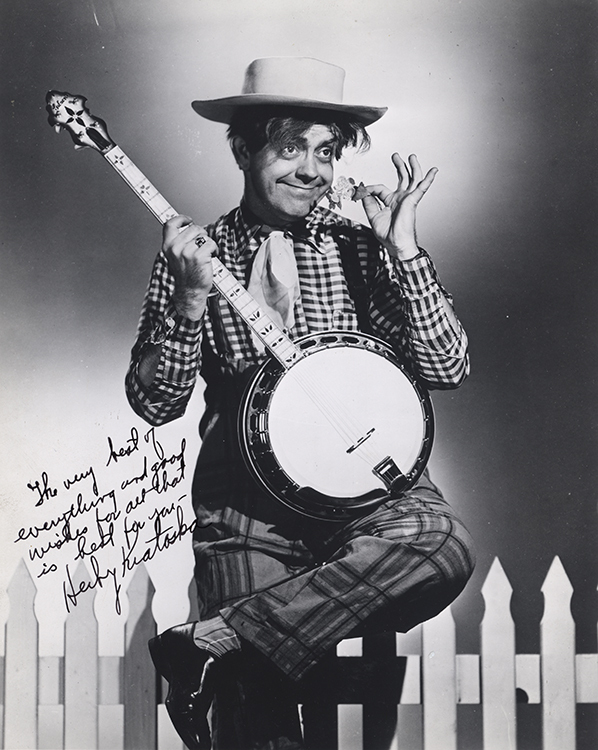 In the featured video clip from the mid '30s, Herby performs a simple novelty tunes, complemented by his deft, but seemingly effortless, guitar playing. From hillbilly sweetheart to smooth chanteuse, the "Brush Creek Follies" boasted dozens of female vocalists over the years. Though cowgirl duos such as sister acts Kit & Kay and Millie & Sue were the Follies' female favorites, they were by no means the sole celebrities. 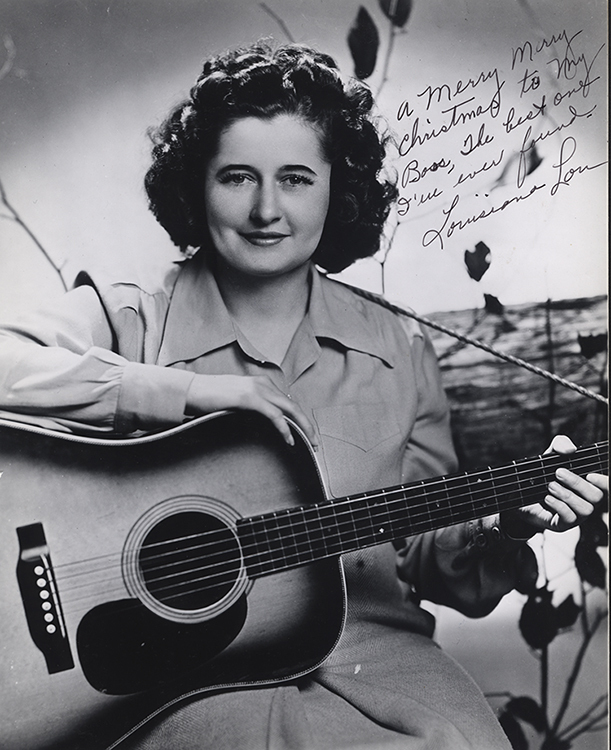 Other popular female artists, such as Sunny Daye, Louisiana Lou, Little Shoe and Her Cowboy Sweethearts, Linda Weaver, Little Vera, Penny Lynn, and the Payne Sisters appeared both solo and with other Follies performers. 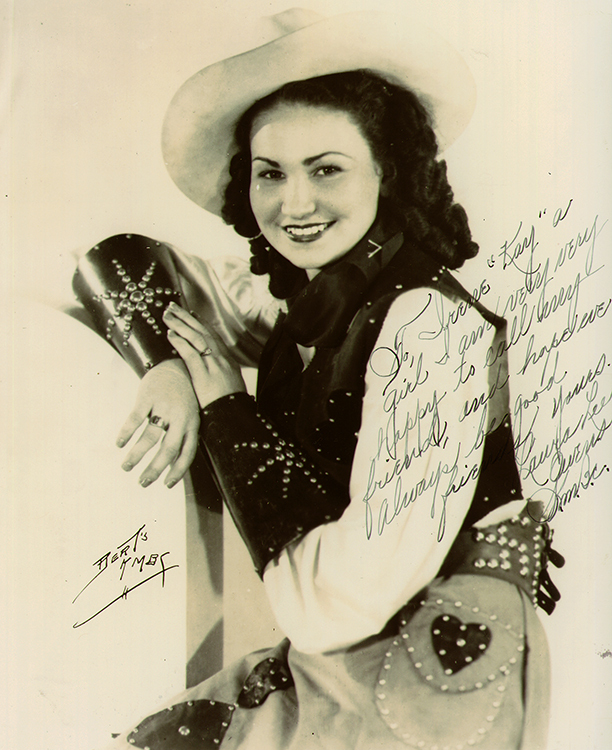 One of the show's first female stars was Laura Lee Owens, singing cowgirl daughter of Tex Owens, KMBC's original cowboy crooner. Laura Lee (along with her sister Dolpha Jane) started performing with her father on KMBC when she was ten. 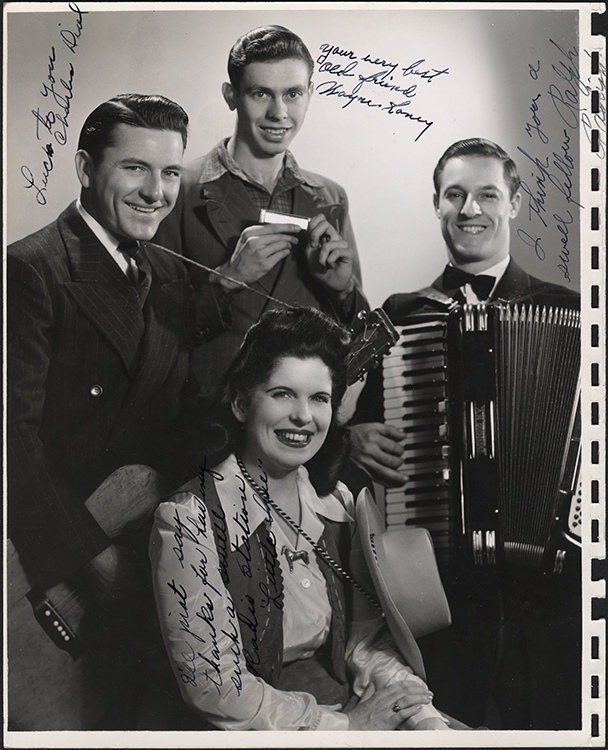 In 1938, after graduating from high school, Laura Lee formed her own band, the Prairie Pioneers. A year later she married Herb Kratoska, KMBC's wizard of the strings, who was a member of the original Texas Rangers and often accompanied Laura Lee's father. 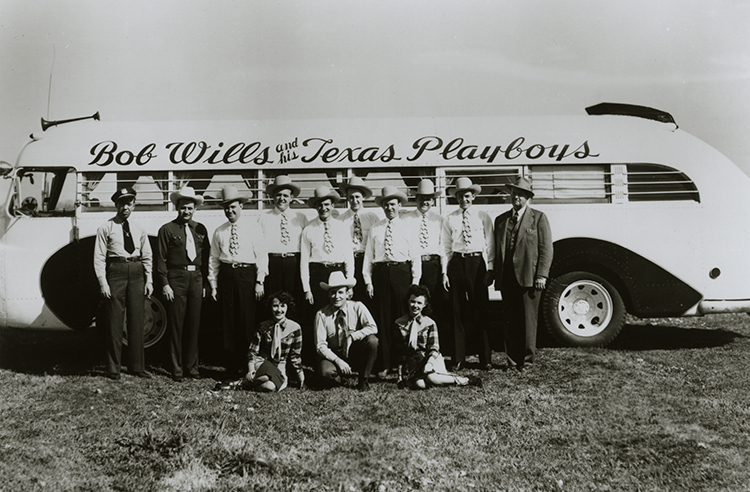 When the Rangers left for Hollywood and the silver screen, Laura Lee divorced Herby and moved to Tulsa, where she worked for station KVOO, and attracted the attention of Bob Wills, who was searching for a female singer for his Texas Playboys. 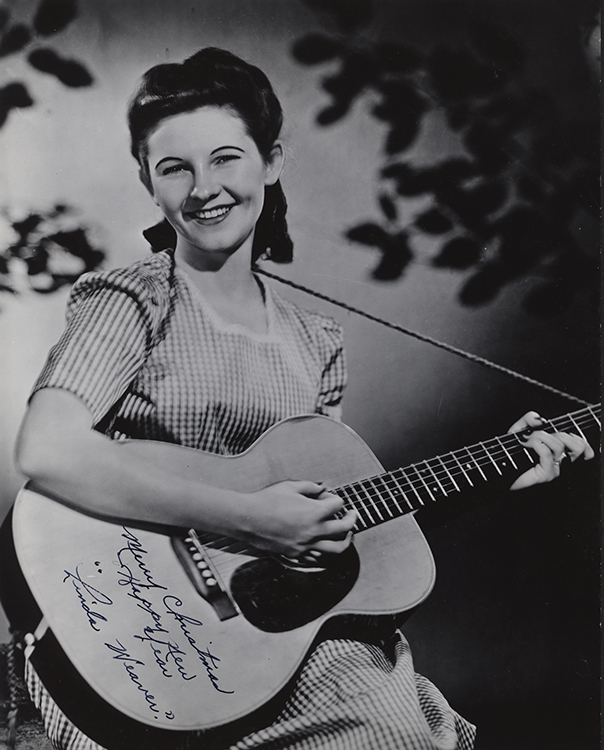 Over the next 40 years, Laura Lee toured with Wills, Tex Ritter, and Ernest Tubb; worked as a country disc jockey; and even performed with Hank Williams. Illinois native Mary Kath learned yodeling from her Swiss grandmother, and mastered guitar by age 11. By the time she graduated from high school, Kath had won a talent contest, starred on radio station WMBD in Peoria, and landed a job at KMBC. 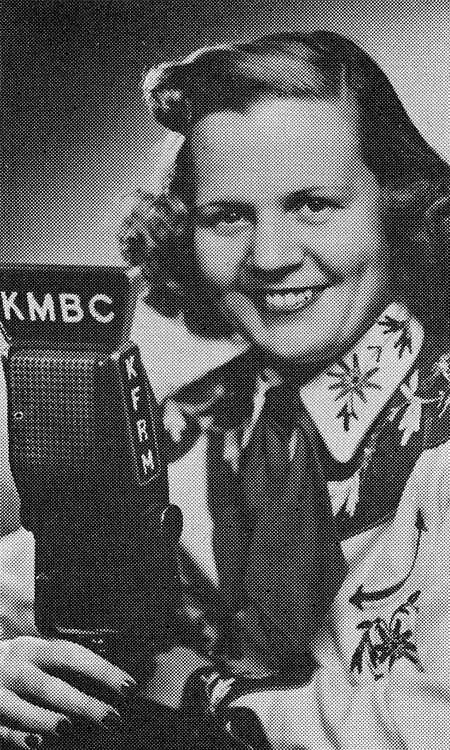 As a regular on the "Brush Creek Follies," Kath was known as "Sally Carson," performing both solo and accompanied by the Oklahoma Wranglers, Harvest Hands, and other KMBC regulars. After World War II, Kath moved to Cincinnati's WLW where she starred on the "Midwestern Hayride" on both radio and television, and occasionally guest starred on the "Louisiana Hayride." Now known as "Bonnie Lou," her powerful voice attracted the attention of Cincinnati's King records, which released her first single, "Seven Lonely Nights," in 1953. The song hit the country top-10, and Bonnie Lou went on to record 22 songs for King. 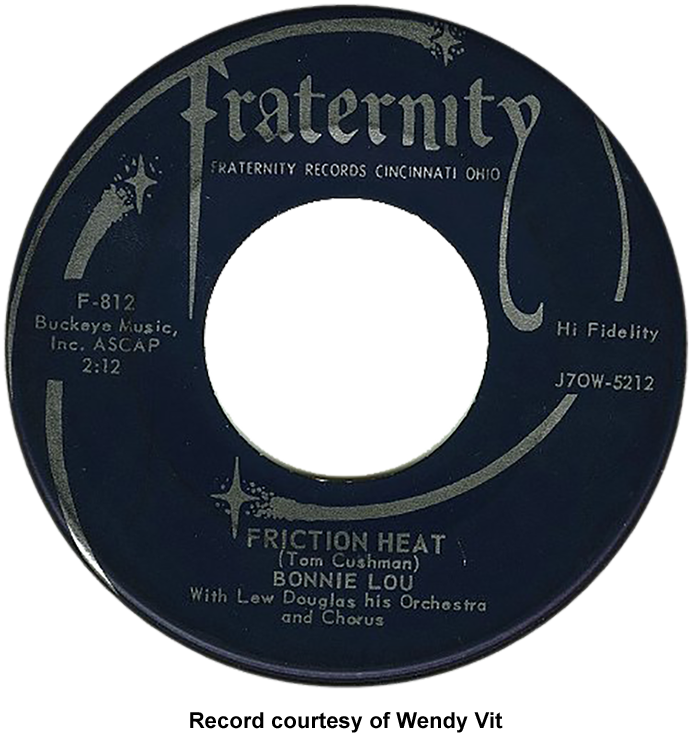 By the mid '50s, as hillbilly and rock 'n' roll styles merged, Bonnie Lou became an early star of the budding rockabilly scene, recording on the King and Fraternity labels. Though she continued to perform on country broadcasts into the '70s, Bonnie Lou's claim-to-fame remains that of being one of rockabilly's female pioneers. Over the years, KMBC's singers ranged from traditional Western yodelers to smooth modern vocalists. 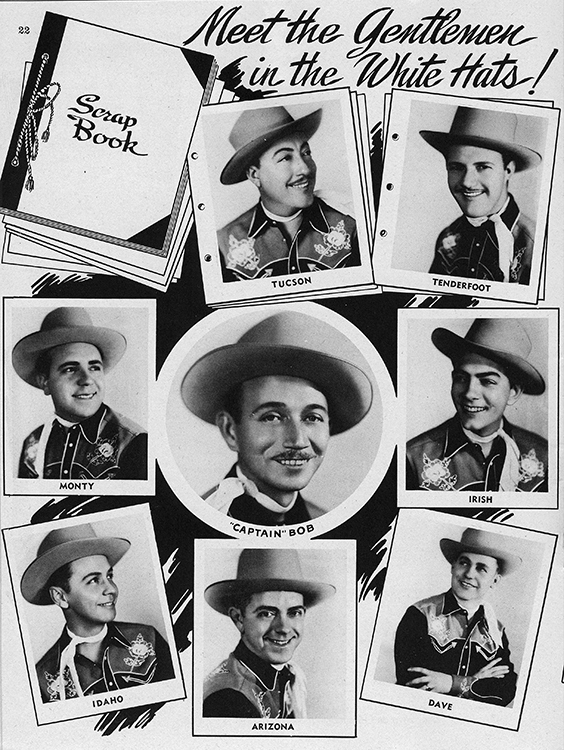 Though the station's cowboys, such as Colorado Pete and Tex Owens, set the standard for much of KMBC's programming, other singers were just as popular, appearing on dozens of programs, including the "Brush Creek Follies." Other fan favorites included Smokey Parker with Penny Lynn, Rocky and Rusty, and Monty McGee. Another star, Don Sullivan, one of KMBC's most versatile entertainers, established a career that included radio, records, television, and films. He began with a first-place win on the Major Bowes amateur hour in 1937, and, 10 years later, was a regular on the "Brush Creek Follies." At KMBC, Sullivan also performed on the "Dinner Bell Roundup, "Big Brother Club," and "Nighttime on the Trail," which was also carried by CBS. Sullivan went on to record for Blue Bird and Decca, perform on television, and appear in several westerns. 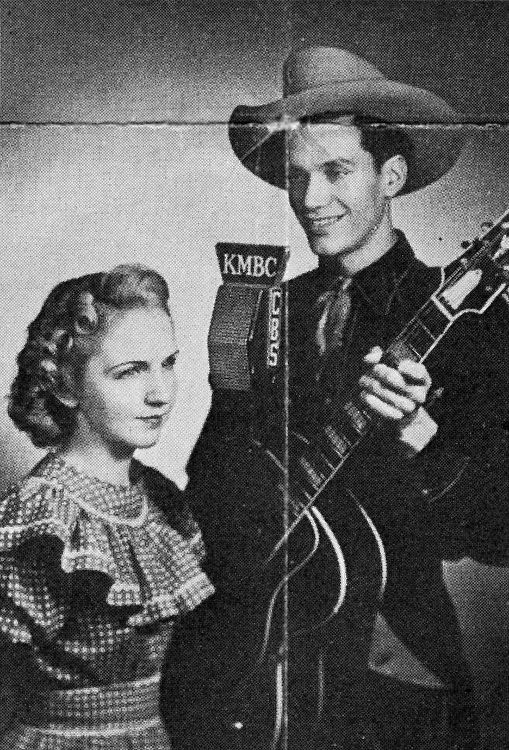 Tiny Tillman (shown) was another of KMBC's cowboy singer-guitarists whose talents, according to a KMBC newsletter, were "matched only by his corpulence." Tillman joined KMBC and became a Follies regular in the late '40s. He played and sang with Western bands since he was nine years old, and before coming to the Follies he was a star of the "Valley Barn Dance" in St. Louis, and had appeared on the Grand Ole Opry. 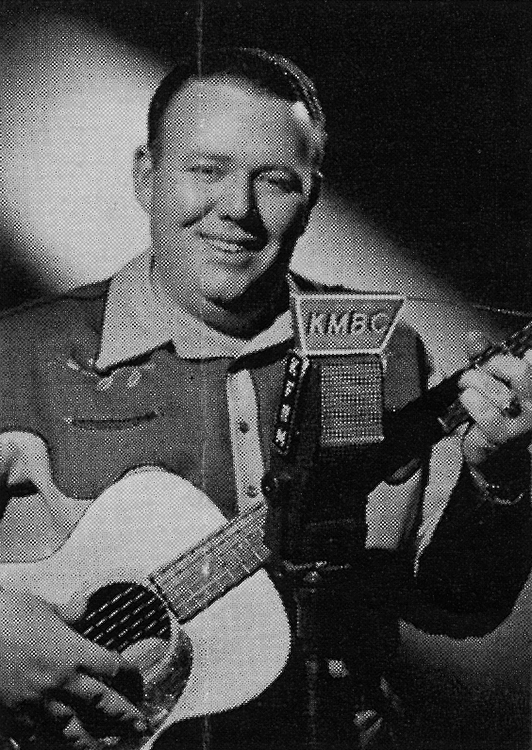 Tillman had his own daily morning show on KMBC, in addition to appearing on KMBC's "Dinner Bell Roundup," "Western Roundup," and "Brush Creek Follies." Singers and personalities may have commanded the Follies spotlight, but they never overshadowed the program's instrumental talent. 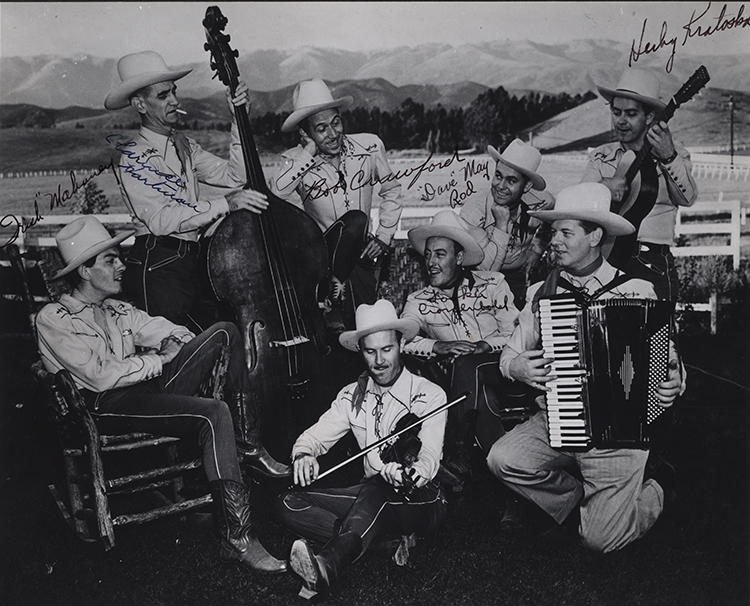 From the Texas Rangers and the Oklahoma Wranglers, who became national stars, to groups such as the Tune Chasers, Harvest Hands, Midland Minstrels (shown), Rhythm Riders, and others who remained regional favorites, the musicians gave the Follies its backbone. 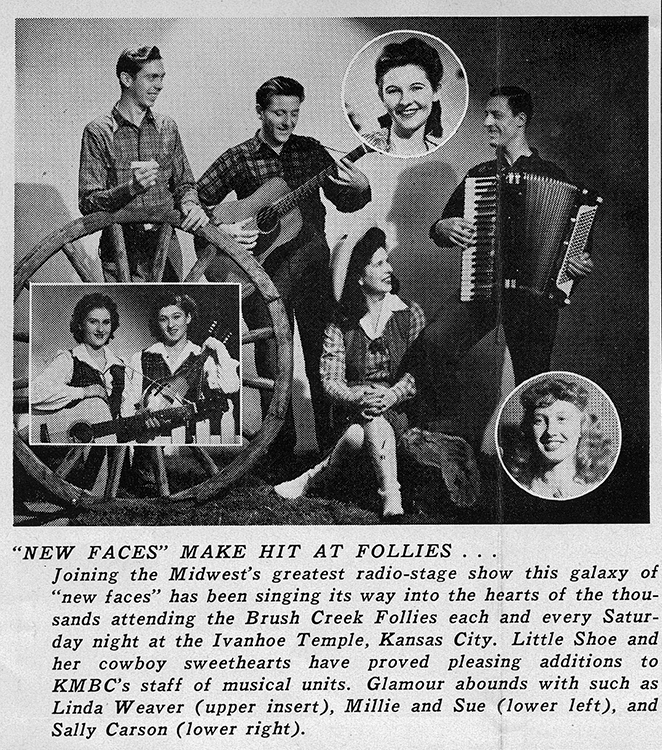 One quartet joined the Follies in 1945, and, following a contest among KMBC's farm show listeners, was christened the "Harvest Hands." 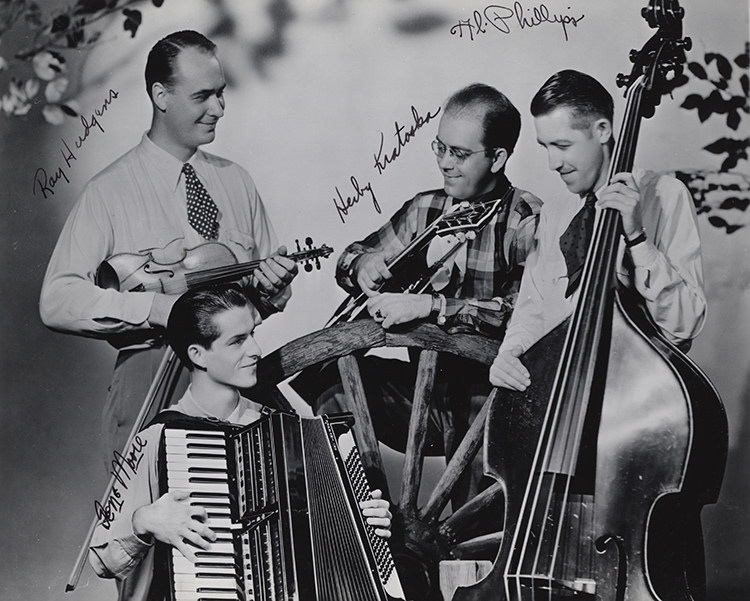 This group, comprised of Curly, Buck, Woody, and Vick, was described in a 1947 issue of "Song and Picture Barn Dance Magazine" as a "hard-hitting new musical foursome giving out with music as fast as a P-38." The Harvest Hands were heard on the "Early Bird Jamboree" and the "Dinner Bell Roundup" in addition to the "Brush Creek Follies." 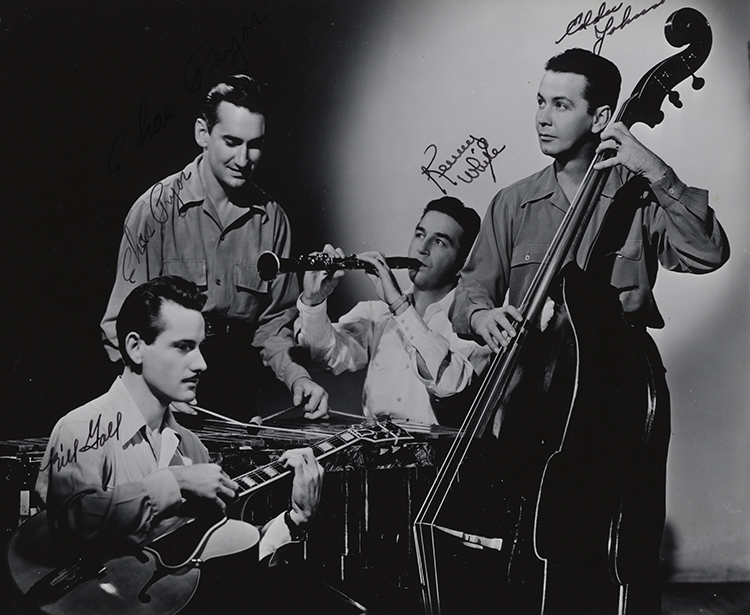 "That's What I Like About The South"
Another group, the Rhythm Riders, was a versatile quartet that played western and hillbilly music, but infused these tunes with swing arrangements contemporary to the era. 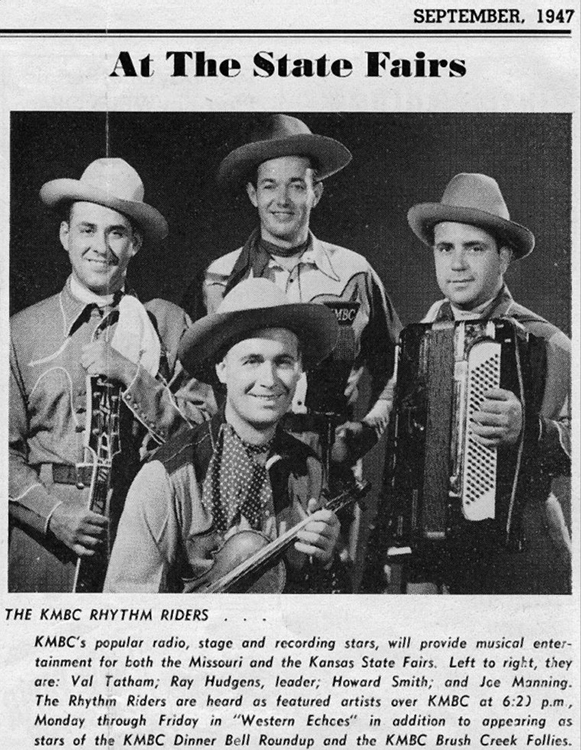 Besides their Follies appearances, the Rhythm Riders had a program each evening on KMBC called "Western Echoes," were regulars on the "Dinner Bell Roundup," were featured on CBS' "Nighttime on the Trail," and appeared on WLS' "National Barn Dance." The group, led by Ray Hudgens, and featuring Val Tatham on guitar, accordionist Andy Anderson, and Howard Smith on bass, can be heard in the featured audio clip from 1941, swinging hard (despite Ray Hudgens' clarinet being repossessed piece by piece). The Tune Chasers, a long-time favorite, featured bassist Ruel Joyce, Ted Painter on banjo and guitar, Vaughn Bussey on sax and drums, and the wildly versatile Charley Pryor, the group's leader, playing everything from xylophone to his customized musical washboard. According to a mid-'40s trade magazine, the band's four members "played a total of nine instruments to make like a nine-piece orchestra." The performance seen in the featured video clip demonstrates Herby Kratoska's banjo playing, as well as the pure enjoyment that these performers seem to have had on stage. © 2001-present. All rights reserved. About This Project.